OMG, can I say that this post took forever?!? I have so many images and products within this post that I made a whole Pinterest board for them. Sorry, it might not be the best way to give credit, but all the images featured are here on this board. What beauty trend are you most looking forward to? What trends will you stay away from? so excited for bold lips! 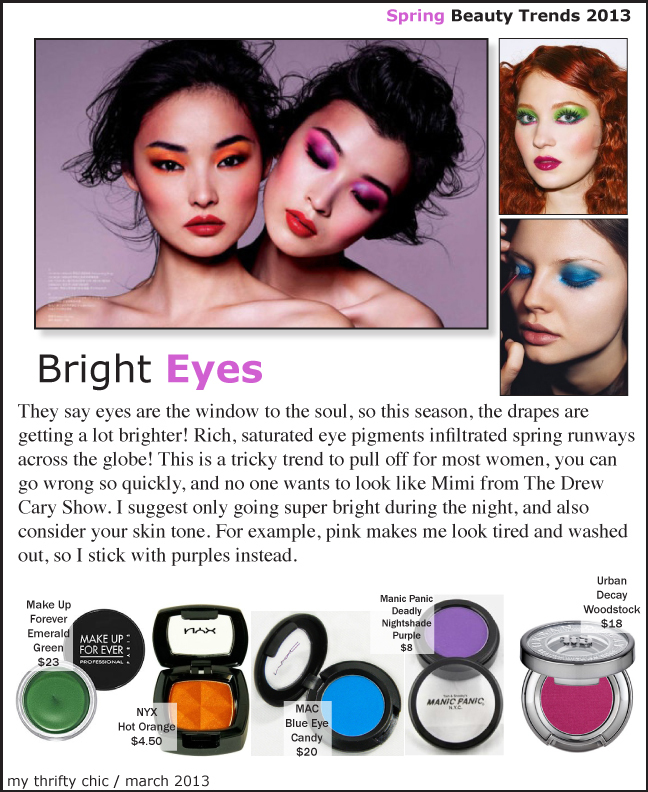 although we are going into Winter, still going to be sporting the colourful bright lips! Love the bright ayes and braids! I always love spring trends, it's like a chance to start over!!! Already rocking the pastel locks this year!! 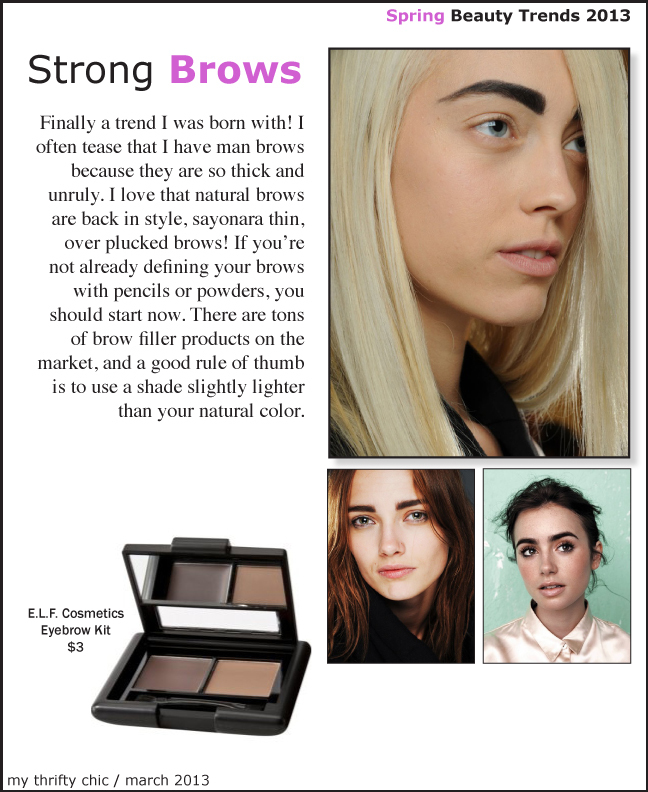 superglad thick eyebrows are in. i have them but have been plucking since i was 16! now i need to learn how to fill in! And I was just talking about how I need to paint my nails with this pale pink I have! emma stone is so beautiful! she looks great with those bright lips - i'm too scared to try bold lips but want to! WOW, WHAT a FABulous Post! Wow! Thank you Tori. I am searching for that NYX stuff real fast. 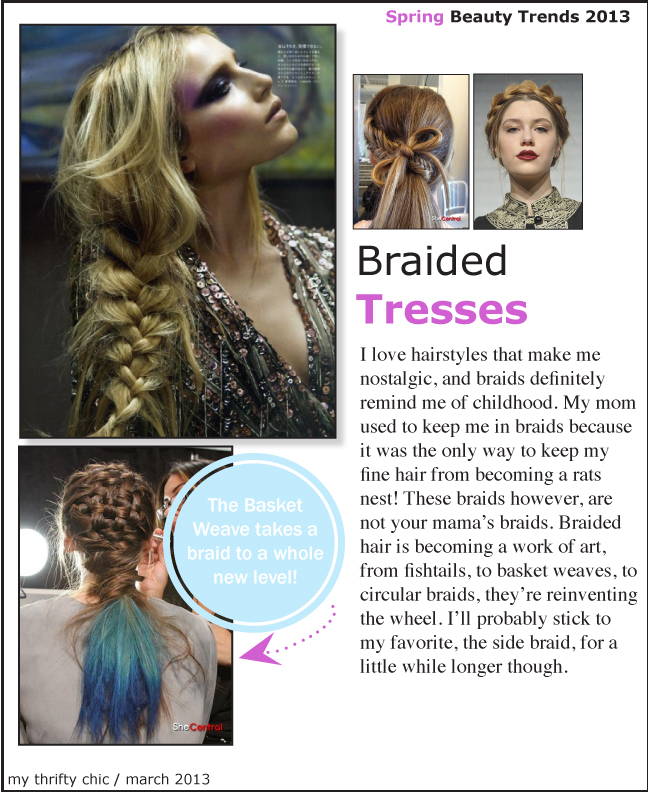 Not too excited about a few trends...but I sure love braids! Your article has truly peaked my interest. I will book mark your blog and keep checking for new details about once a week. 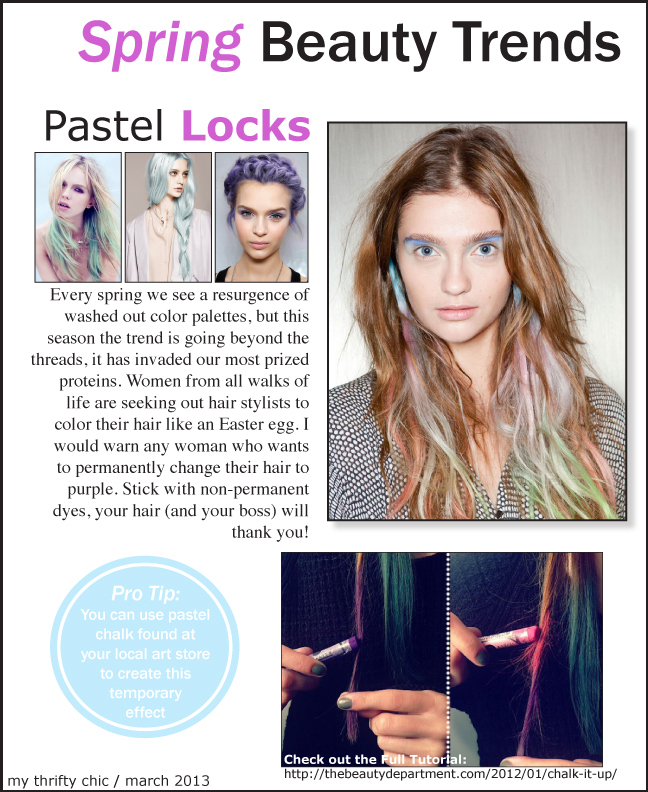 I am loving the pastel lock trend. I don't know whether it would look as vibrant with my dark hair though. I'd love to just have a large streak in my hair at the front.